Check out the first hour of The Weekend with Jake & Drew on ESPN Radio New Hampshire 900AM and 1250AM. We talked all MLB and the pennant races on the last day of the season. We discussed all the playoff scenarios and answered some burning playoff questions. We debated on whether the one game playoff is the right way to go or if it should be the best two out of three. We did our “Something or Nothing” segment as well as our new “Sizzlin Storylines” segment debating the hottest topics in sports. We gave away our playoff predictions and discussed what the Red Sox playoff rotation will look like and who get the final roster spot. Check out my latest JockSpin.com article as I go around the league recapping NFL week 3. Check out Sunday’s The 5th Quarter in New York Sports on 1240AM-WGBB. In the first half of the show, we recapped the Jets win over the Bills and what went right and what went wrong. We also talked about the Giants embarrassing loss to the Panthers and whether their season is over before the Yankees even ends. 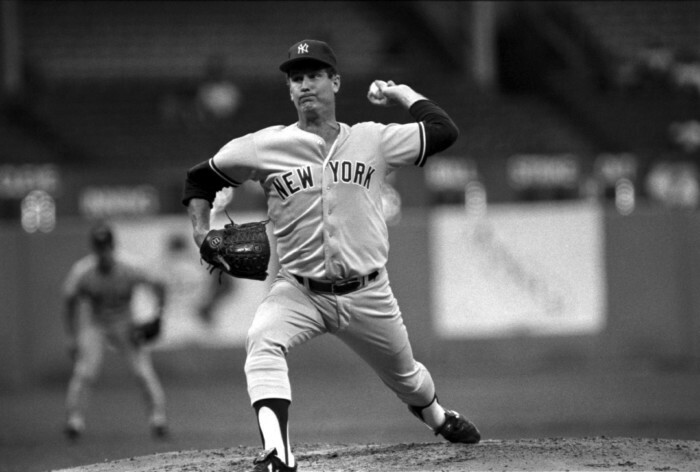 We then moved over to MLB as 288-game winner and former Yankee pitcher Tommy John joined us at the 30-minute mark. He answered whether Matt Harvey should get the surgery or not, whether Andy Pettitte is a Hall of Famer, and what the penalty should be for PEDs in baseball. He also talked about his historic career and the differences in baseball from his time to today. Check out hour two of The Weekend with Jake & Drew on ESPN Radio New Hampshire. We started the hour talking with Field Yates, covering the Patriots at ESPN Boston and the NFL for ESPN Insider. We then gave our week 3 NFL picks getting you sizzled up for a big week in football. Greg Auman, covering the Bucs and the NFL at the Tampa Bay Times, joined us to give us the Bucs side of the Pats-Bucs game. We ended the show with our game of the week, lock of the week, and fantasy GO TO players.